Is my smartphone compatible with this app? Revamped. Restyled. Rejuvenated. For Real. 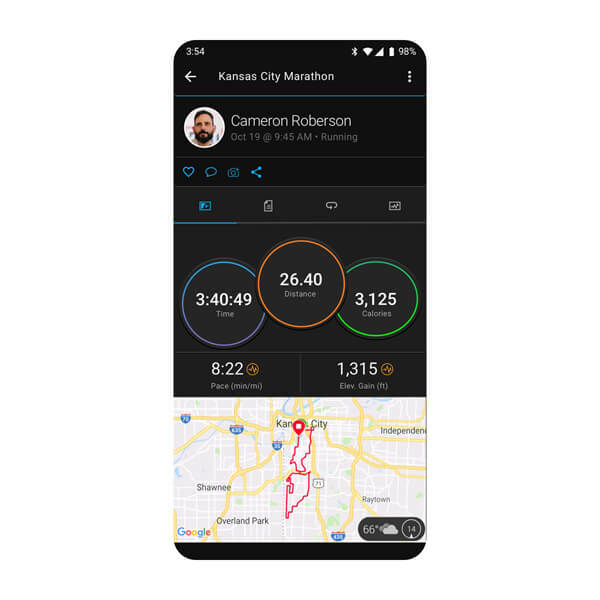 The new Garmin Connect Mobile app makes it easier than ever to beat yesterday. Bold, colourful activity cards provide all your vital health statistics at a glance. Scroll down to easily compare today’s totals to past results, or tap in for more detailed information. 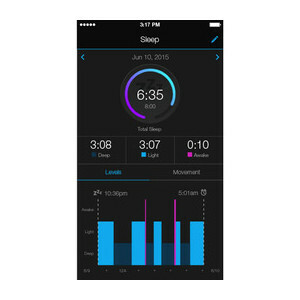 Activities and other health measurements recorded by your device are presented in vivid detail. And the data you see is customised just for you and the way you move, without all the filler. Your activities just got a splash of colour. Different colours represent all your activities, so you know what you’re looking at without even reading a title. 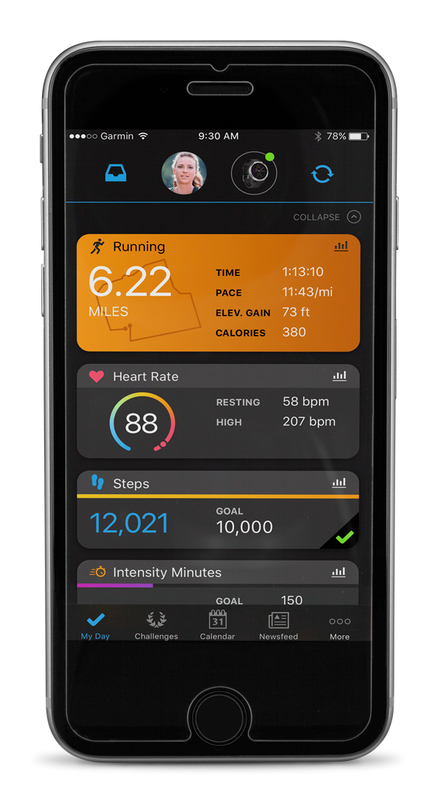 You can even customise what cards will show up on your dashboard — making the Garmin Connect Mobile experience all about you and your goals. 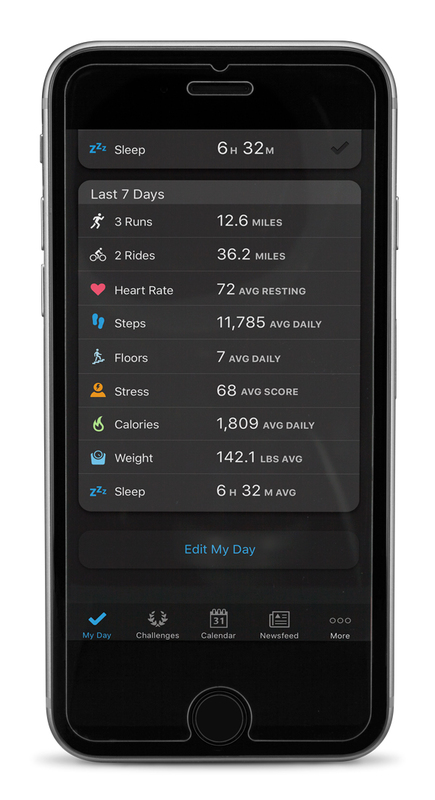 The “Last 7 Days” view shows you the averages of your steps, calories, sleep and more at a glance. You can compare your current stats and see how your day is shaping up, and even try to aim for higher averages this week. With Garmin Coach, your personal 5K running coach is always there to help you, both in Garmin Connect™ and on your watch. 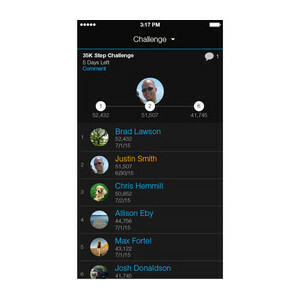 Choose your expert running coach and your 5K race goal. Then receive guidance every step of the way with a free training plan, which includes dynamic workouts selected for you. These workouts sync to your compatible Garmin watch and will adjust based on your performance in the plan. Exceeding your expectations? Your plan can push you harder. Did you miss a workout? Your plan will keep you on track. It’s all free, and it’s only from Garmin. If you work out or compete with a Forerunner® running watch, Edge® cycling computer or fēnix® outdoor watch, all of the Garmin Connect data you rely on is right in the app. Examine the maps and stats from your individual activities or analyse your progress with charts and graphs. You can also upload data from any vívofit® series activity tracker or vívoactive® smartwatch to track your progress while you’re on the go. You’ll be able to keep tabs on your total steps and progress toward your goal, how long you’ve been sedentary, sleep patterns and more. You can even use the app with your Garmin golf watch to track your score or access previous scorecards to see what you shot the last time you played a specific hole. Ready. Set. Go connect your device. 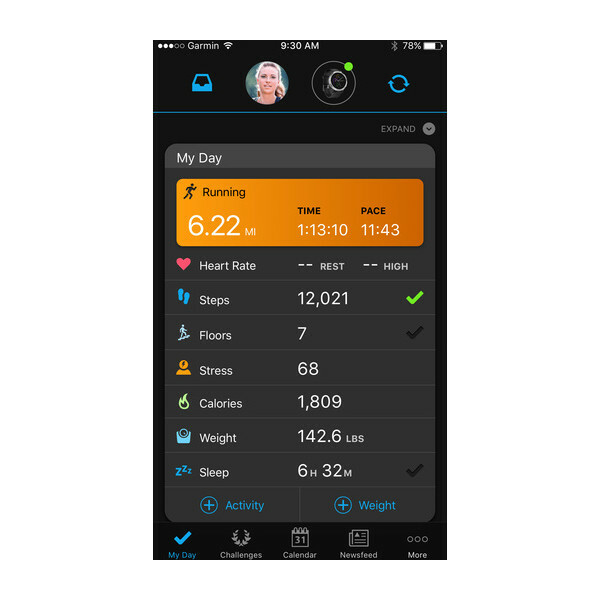 Garmin Connect Mobile unlocks the full potential of connected fitness devices. 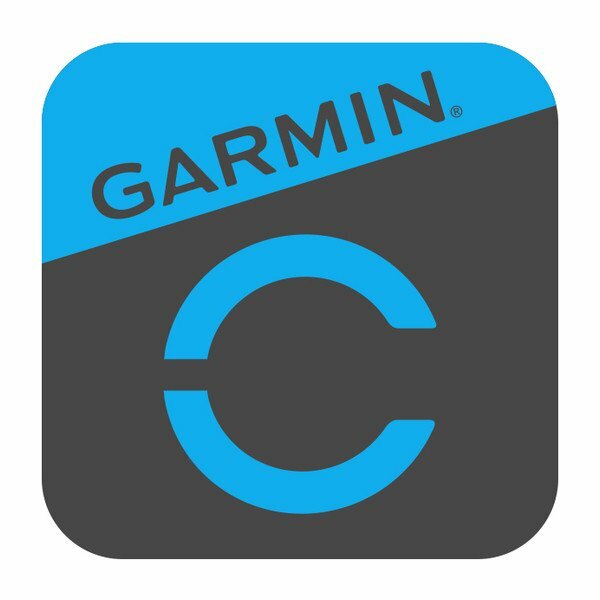 Upload data from your compatible device directly to Garmin Connect. Send courses and workouts right to your device. 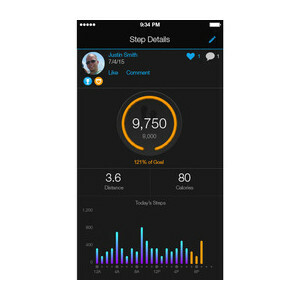 Let your friends and family follow your training and fitness activities in real time using the LiveTrack feature. 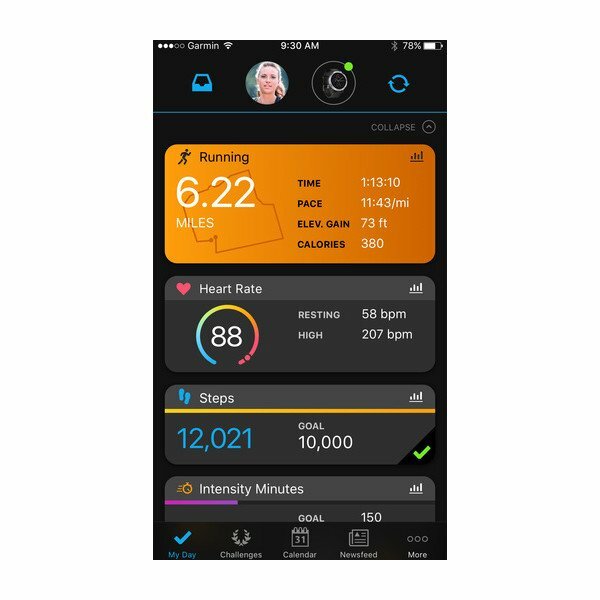 With Garmin Connect Mobile, it’s easy to pair many of the latest Garmin fitness/wellness devices with your compatible smartphone for access to a wide range of Bluetooth® wireless connectivity features, including weather alerts, call and text notifications, automatic data uploads for online sharing and much more. These Garmin mobile link features provide the go-anywhere access you need to help maintain a seamless connection between your workouts and your life. If you’re just making the switch to a Garmin activity tracker – good news. We now have a way to fit a bit of your old tracker’s data right into your new one. You took all those steps, so bring them with you! It’s all done right through Garmin Connect. The Bluetooth® word mark is owned by Bluetooth SIG, Inc. Available for download on the App Store. Available for download in the Google Play store. App Store is a trademark of Apple Inc. Android is a trademark of Google Inc. Windows® is a trademark of Microsoft.